An average consumer will notice changes in the pharmaceutical market over time – it currently takes seven to ten months from the moment of filing a drug application for approval to releasing the drug into circulation and its sale. The new regulations will improve this administrative process once the drugs have been cleared for distribution. Matters related with the administration of approvals issued for preclinical and clinical studies of medicines, pricing of medicines and medical products, retail trade, public procurement of medicines, other procedures related to cost recovery in the circulation of medicines, and the regulation of medical advertising have been left at the level of national regulation. A transitional period ensuring a smooth transition from national to common regulation is provided for. This will prevent bad performance of health systems in the EAEU countries, and help manufacturers of medicines to adapt to the new requirements as comfortably as possible. 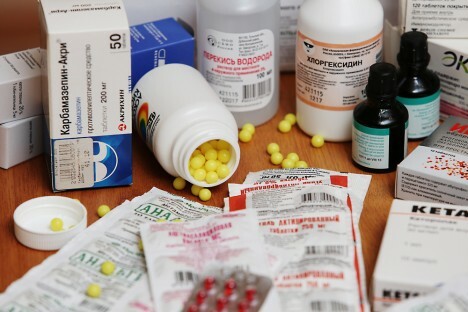 In particular, till December 31, 2020, the manufacturer has the right to choose under what regulations (national or common) it registers its medicines. All medicines registered under national regulations till December 31, 2020 should pass re-registration under the regulations of the common market before December 31, 2025. When filing a drug application for registration before December 31, 2018, the manufacturer may provide national documents issued by the Union Member States that confirm compliance of manufacture of medicines with the requirements of national GMP instead of a GMP certificate of the EAEU. 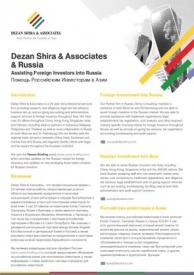 Dezan Shira & Associates´ Russian investment brochure offers an overview of the services provided by the firm – both foreign investment into Russia and Russian investment into Asia. It is Dezan Shira´s mission to guide investors through Russia´s complex regulatory environment and assist with all aspects of establishing, maintaining and growing business operations in the region. 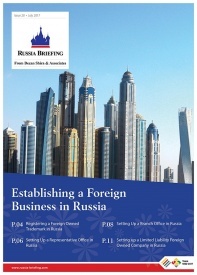 In this issue of Russia Briefing, we explain the basics of business set up for foreign investors, from trademark registration, representation, trading mechanisms, and manufacturing. 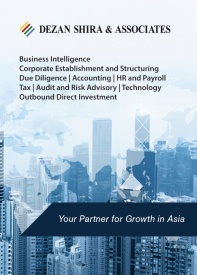 With low corporate tax rates, Russia is set to become the most dynamic of the trade corridors opening up to Asia. 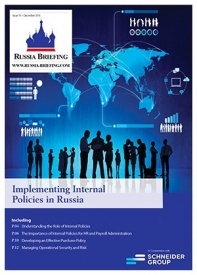 In this issue of RUSSIA BRIEFING, we take a close look at the import and export procedures into, out of, and within the Russia, Belarus and Kazakhstan Customs Union. 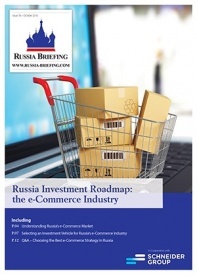 We then look at the current situation one year after Russia’s WTO accession. Next we look at issues of product certification and VAT procedures in the Customs Union. Finally, we explain the processes involved with the import of goods between affiliate companies.